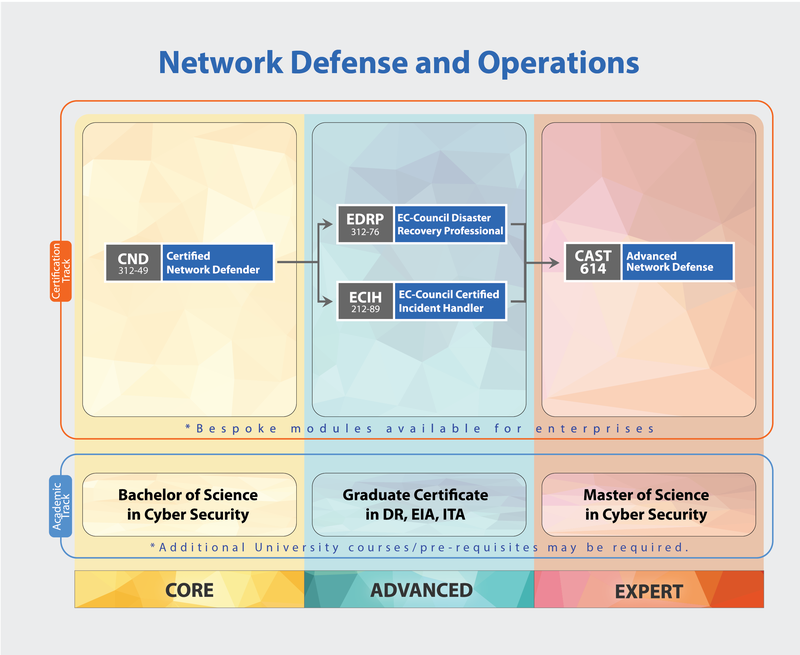 The Certified Network Defender (CND) certification program focuses on creating Network Administrators who are trained on protecting, detecting and responding to the threats on the network. Network administrators are usually familiar with network components, traffic, performance and utilization, network topology, location of each system, security policy, etc. A CND will get the fundamental understanding of the true construct of data transfer, network technologies, software technologies so that the they understand how networks operate, understand what software is automating and how to analyze the subject material. In addition, network defense fundamentals, the application of network security controls, protocols, perimeter appliances, secure IDS, VPN and firewall configuration, intricacies of network traffic signature, analysis and vulnerability scanning are also covered which will help the Network Administrator design greater network security policies and successful incident response plans..